The Sodastream products had struck my fancy for a few holiday seasons. Several blogs had been giving them away and unfortunately, I hadn’t won one yet. So, I was excited when the company agreed to be part of my Green Gift Giving series this season! I was sent the Fountain Jet Starter Kit in black and silver to review. It came with 2 1 liter blottles, 1 carbonator, 6 flavored syrups from their regular and diet line, 2 of their Sparkling Naturals, and a 3 pack of MyWater Flavor Essence retail $99.95. The Fountain Jet was super simple to get together, just insert the carbonator and you’re ready to go. No batteries, plugs or assembly required. The first and only problem with the product I had: when asked which flavors I wanted to try I mentioned that I am a Diet Coke Gal, so since I was the main reviewer be sure to include that. No Diet Cola syrup was included. Since I don’t really like any other soda I had to leave taste testing to the rest of the family. So far Root Beer has been the family hit, Orange falling close behind. My Mother-in-law really liked the Sparkling Naturals Apple Mango, we sent her home with a large glass and a stainless steel bottle full. Now, I have found myself drinking something I HATED when I was younger… Seltzer Water. I haven’t tried any of the flavor essences, yet. It’s next on the list (when there is a spare bottle not filled with Root Beer), but I have a new found craving for seltzer and to be able to make it in seconds is really cool! My son took a swig of it (probably thought it was lemon-lime) I heard him gag! That’ll teach him to drink out of the bottle! How many times do I have to say it?? The guys in the house go through soda fast, so this is great. No running out of drinks, running to the store, we’re reducing waste from store bought sodas, too. This has many pros for sure! SodaStream is available at several retail locations and you can search for a location near you on the site. I’ll need to take a trip to a location near me to buy some of the diet cola, then I can start to really enjoy the SodaStream. This will make a great green gift for the soda lover in your life. So why not try to win one? Yep, SodaStream is giving one of my readers a Fountain Jet to keep or give as a gift this holiday season! Visit Soda Stream or the Ms. Fizzy Blog and comment here on which flavor or drink recipe you would love to try if you won the Fountain Jet. 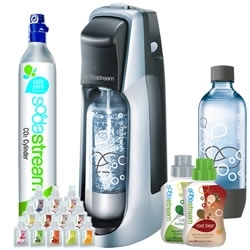 Follow @sodastreamusa on Twitter or become a Fan on Facebook and comment that you did. The deadline for entering is Monday, 11/22/10 at 8pm EST at which time one winner will be randomly chosen. Please don’t forget to leave a separate entry for each one of the above that you do and any entries that show obvious laziness i.e. a simple “Thanks for the great giveaway” will not be published therefore not counted. It’s just not fair for the people that do know how to follow simple directions. US residents only. Thanks! I would love to try the Pete’s choice and the orange. Ya know. I really love sodastream a lot. 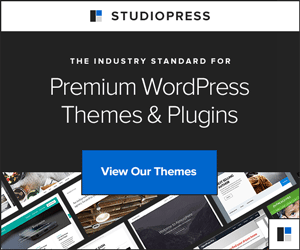 Thats why its part of my businesses marketing tools. I drink a lot of diet coke as well and I just really need to have my fixin’s when I need it. Anyway, my business has opened up a new green marketing section starting with Buy Sodastream so if anyone wants some more product by product info, they can def come check it out. I drink a lot of diet coke and I would like to try their diet cola and see how it compares. I’d love to try the orange first. I follow sodastream on twitter as kmayans. i would like to try the diet root beer flavor. I would love to try Ginger ale. I follow @sodastreamusa on Twitter as willitara. I would get two flavors – root beer and cream soda. I would love to try the Sparkling Naturals – Orange Pineapple flavor! Diet Rootbeer sounds the best to me! I would want this just to make up Seltzer Water, unflavored. I’d like the ginger ale. I can’t wait to try the cream soda! I want to try the ginger ale. Thanks for the contest. I’d like to try cranberry raspberry. Following @SodaStreamUSA on Twitter (@hle123). I would love to try the Orange Pineapple flavor! i’d love to try the root beer! I’d like to try Diet Root Beer. i am following sodastream on twitter, and liked them on facebook! i checked out the sodastream site. the apple mango sparkling naturals flavor sounds awesome, i want to try that one now! id love to try the diet root beer! Just put the feedburner form in it’s place, should work now. Thanks! The feed does not have subscriptions by email enabled. Please let me know when it works so I can join. I follow soda stream on facebook. I like rootbeer so I would try that. I would love to try the Cranberry Raspberry! Id love to try Rootbeer. I would like to try orange flavor. I would like to try the giner ale flavor. I would like to try the ginger ale flavor. I have wanted one of these since they first came out. I would like to try the diet pink grapefruit flavor. I was just looking at one of these — thanks for the info. I’d really love to try the Diet Orange and the Diet Root Beer. I’d like to try the lemon lime flavor.